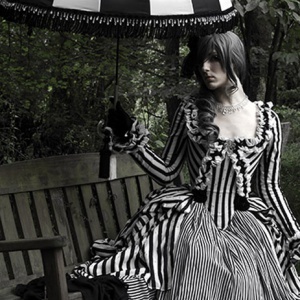 Will Cosplay contribute to the future of fashion design? We think so, and we've spoken to one of the people who might just make that happen. Cosplay isn't just the colorful characters dedicated cosplayers put their efforts into recreating. It's also the cosplayers themselves, from all walks of life and myriad professions, who dedicate themselves, usually at their own expense, to the arduous task of learning everything it takes to make those recreations work. To better understand this dedicated community, we'll be talking to individual cosplayers about their designs and how cosplay has affected them in the rest of their lives. There can be no question that Joshua Hart knows clothes. The Baltimore native received a BFA in Fashion design from Syracuse University in 2012. He's also a prolific cosplayer with an astonishing ability to disappear into his costumes and an incredible eye for detail, who credits his love of cosplay with sending him into his chosen career. Originally set on becoming a doctor, in college his love of costume design took on a life of its own. "I was an extremely indecisive person who was skilled in many areas, so the idea of picking one career overwhelmed and limited me," he told us. "But throughout my life, my career path and aspirations evolved and grew into something that gives me great pride and contentment; and I have cosplay to thank." Now living in New York City, where he works as an assistant designer for an apparel company, Joshua still continues to make amazing costumes. In fact, he came to fashion by way of cosplay, and not the other way around. "Cosplay is the sole reason I learned how to sew, knit, embroider, bead, wood work, drape, pattern make, etc," he explained. It "forced me to teach myself to be a master of many trades and a harbinger of knowledge. I would not be where I am in my career at my age, if I had never cosplayed." We sat down (virtually) with Joshua to find out more about his work as a cosplayer, his career in fashion, and to discuss his personal favorite costumes. 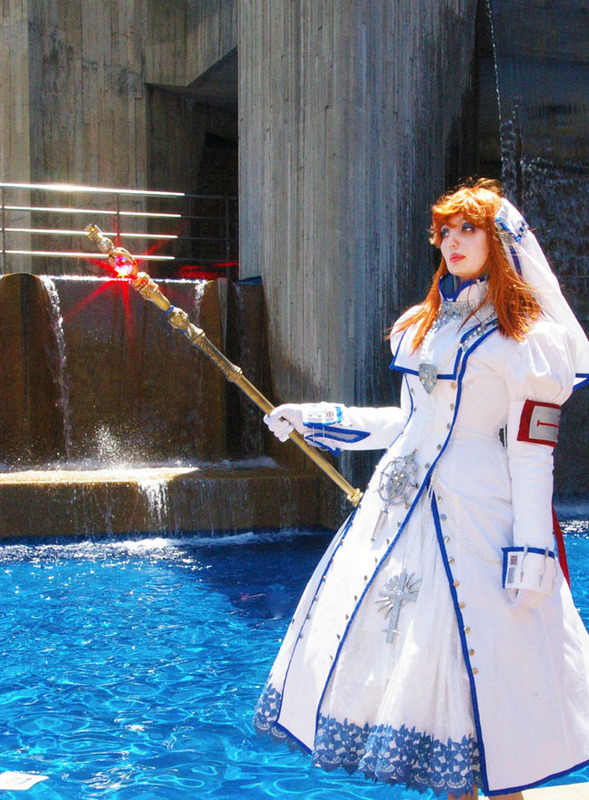 The Escapist: How did you first become involved in cosplay? What was your first costume, or at least the first you debuted publicly? 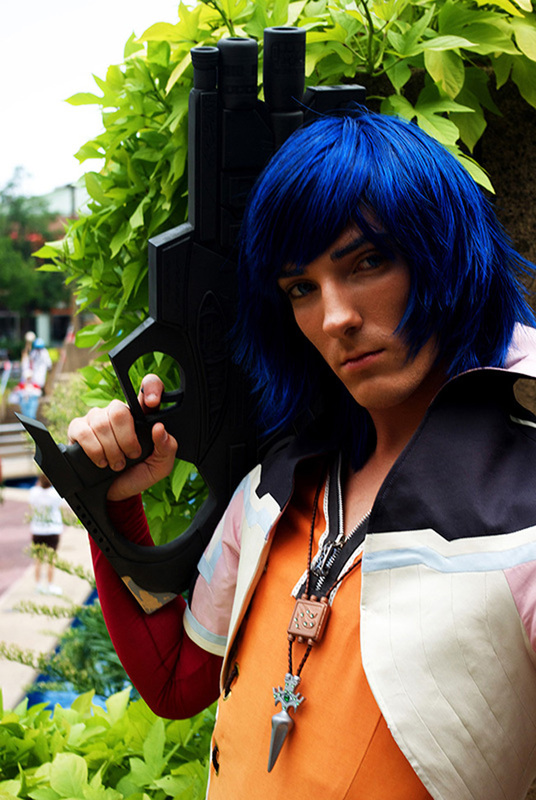 Joshua Hart: I began cosplaying in high school when I was 15. Many of my friends in theatre attended Otakon at the Baltimore Convention Center and I was asked to go. I knew nothing about these "conventions", but I was told everyone dresses up as their favorite characters. I have always love the Renaissance Festivals and Halloween; I love playing dress-up. I was so excited! I cosplayed as Cloud Strife from Final Fantasy 7: Advent Children; my friends cosplayed as other characters from the same series. I taught myself how to knit for that costume. Looking back, it was a poorly constructed mess of wonky seams and neon yellow hairspray. But, it seemed magical to me, like a fantasy. I took the initiative to dedicated all my spare time to this newfound "hobby"
The Escapist: Many cosplayers don't work in fashion. 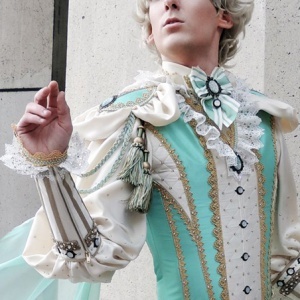 Can you talk about how your formal study of fashion design has influenced your cosplay, or vice versa? 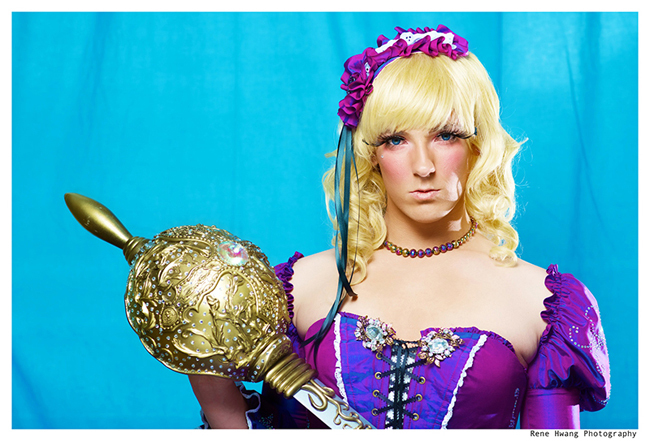 Joshua Hart: To be quite honest, it was my informal study of cosplay that influenced my peers and teachers in fashion. Through my research doing cosplay, I learned couture sewing techniques, corsetry, the importance of interfacings, draping, and patterning, as well as the basic sewing foundations. I was miles ahead of my classmates who were just learning how to thread a sewing machine. I tested out of all my core fashion classes which allowed me to graduate in time with my peers. Fashion design and sewing is easy; most ready-to-wear garments are very simple with one, or maybe two, interesting features to make the design unique. Our society does not live in haute couture where hidden architecture within the dress is pivotal to the designs success. So, many of the advanced sewing techniques are slowly dying. Our society lives on cheap garments in cheap fabrics for cheap labor costs. It's shameful and sad. The Escapist: What was the hardest costume you've ever created, and why? 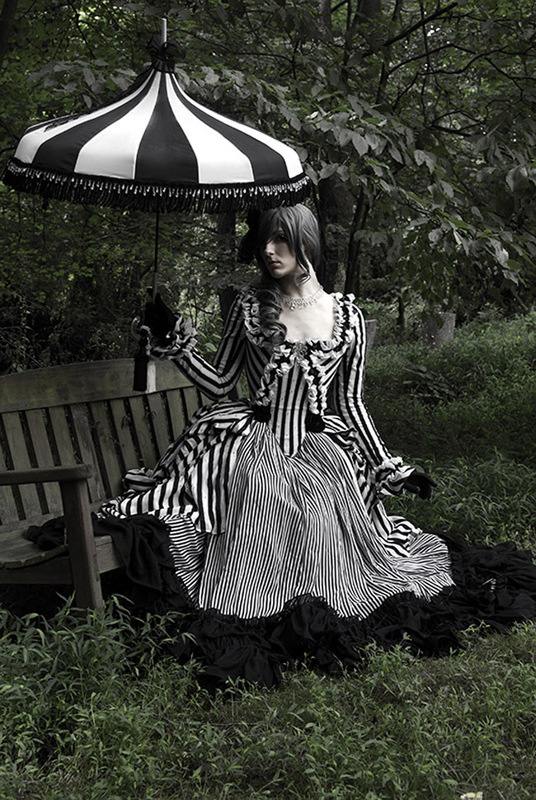 Joshua Hart: The most challenging of all my costumes is certainly my Trinity Blood group that I made in 2009. I chose to make three costumes from the series; Cardinal Caterina Sforza, Sister Esther Blanchett, and Vilian Dietrich von Lohengrin. Each costume was a blend of the elaborate art seen in the art book by Thores. This was a serious undertaking for me since I just began my first year of college. Communicating remotely with my models for measurements, fitting adjustments, and personal input created a stressful working environment in my cramped two person dorm room, but I worked tirelessly for a year on those costumes and props. Hundreds of hours went into appliquÃ©ing, beading, casting, and sanding each design motif and laboriously applying them onto the costumes. While the costumes do have flaws, I am extremely proud of my accomplishments since they are the kick-starter for my desire to make elaborate, professional costumes. The Escapist: What are your favorite Anime and Manga? We also asked Joshua to pick four of his personal favorite costume designs and discuss his work on them, why he likes them, and what he learned from them. Read on for more.